We seek a highly motivated new-to-practice Family Nurse Practitioner (FNP) to become the next IBC Foundation Nurse Practitioner resident at Puentes de Salud. The residency is a 12 month full-time, 50 hours/week salaried position beginning in the summer and continuing through the academic year. The position includes medical insurance, a stipend to attend national conferences, licensure reimbursement, full clinical and academic support with the expectation to contribute to the publication of outcomes pertinent to the program’s goals. The purpose of this position is to develop a new-to-practice FNP utilizing strong clinical support in a variety of practice locations that address primary care across the lifespan. This program is part of Puentes de Salud’s primary care health initiative. 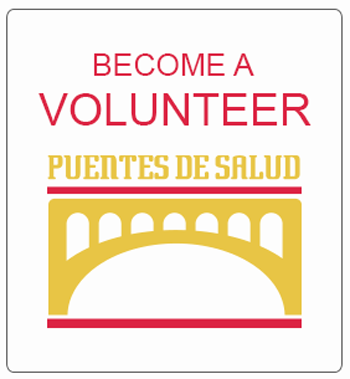 Puentes de Salud serves the rapidly growing Latino immigrant community of South Philadelphia and enhances community wellness through an integrated approach to health, education, and empowerment. Through a combination of didactic sessions and acute care and primary care clinical experiences, Puentes de Salud will offer a unique experience which offers the resident an opportunity to gain exposure to the wide array of clinical presentations in the community setting and augmenting their training through the Department of Emergency Medicine at the Hospital of the University of Pennsylvania, a high ranking academic research institution. The IBC Foundation Nurse Practitioner Resident position provides a new-to-practice FNP an unparalleled opportunity to work and learn at the intersection of research and practice while serving South Philadelphia’s Latino population. The FNP resident will engage with primary care, women’s health, emergency medicine and pediatric practitioners in varied settings to facilitate a rich clinical experience. The program provides interactive teaching sessions and increasing clinical work in a supportive environment so that the resident can thrive as a new-to-practice provider. The program also addresses issues of health literacy and population-specific healthcare needs in a community-based, multilingual and transnational context, preparing the resident as a future leader and expert in their field. PA State RN and CRNP licensure and National Board Certification by ANCC/AANP.